Portland isn't just good for sailing, it could well be considered as the best place for sailing in the United Kingdom, if not Europe. 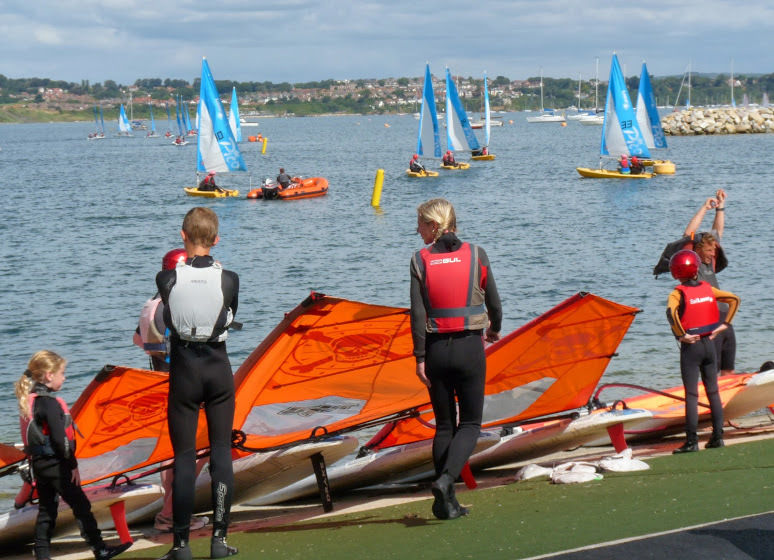 With the Natioanal Sailing Academy sitting on the harbour and the 2012 games sailing events held in Portland it would be hard to disagree with these statements, indeed the Royal Yachting Association has also credited the area as the best in Northern Europe. 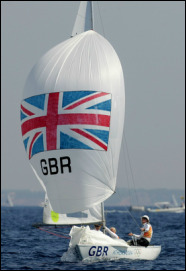 There is a huge amount of dinghies and larger keel boats that both use the waters for recreation and for competition. Last year alone saw competitions for Optimists, Darts, RS500, 600, 700 and 800, 18ft Skiffs, Moths, F18s, B14s, Laser 4000s and many others. To sum up, if you have an interest in sailing or wish to give it a go for the very first time you would be hard pushed to find a better place. 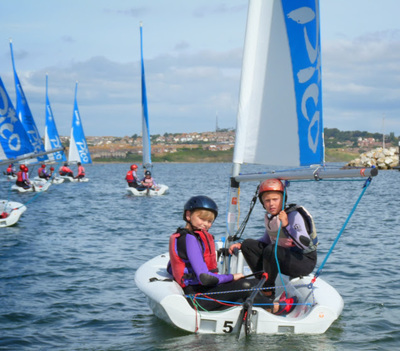 The geography of the area is already acknowledged as one of the best and the National Sailing Academy offer instruction for both novice to expert alike. For more information on what the National Sailing Academy could offer you please visit their website. 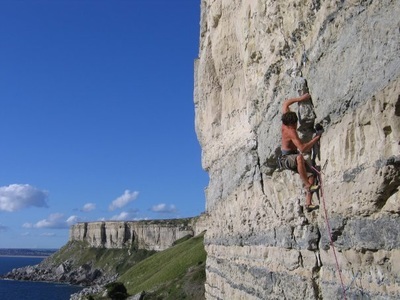 Portland is a well established all year round climbing venue. 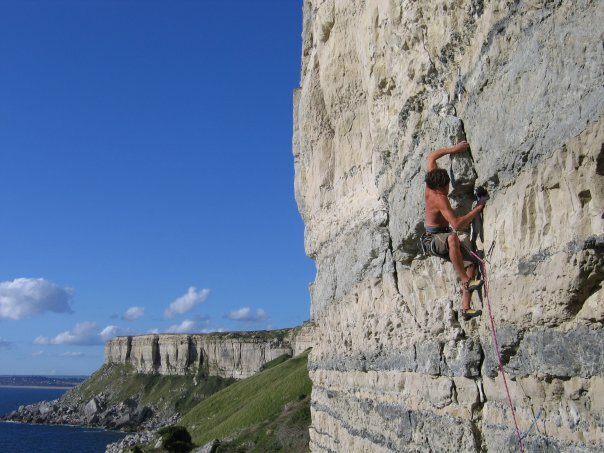 The experienced can even try deep water soloing, which involves climbing cliff faces above very deep water. Portland is a climbing venue of national importance. Nowhere else in the country offers such extensive sports climbing for all climbing abilities. 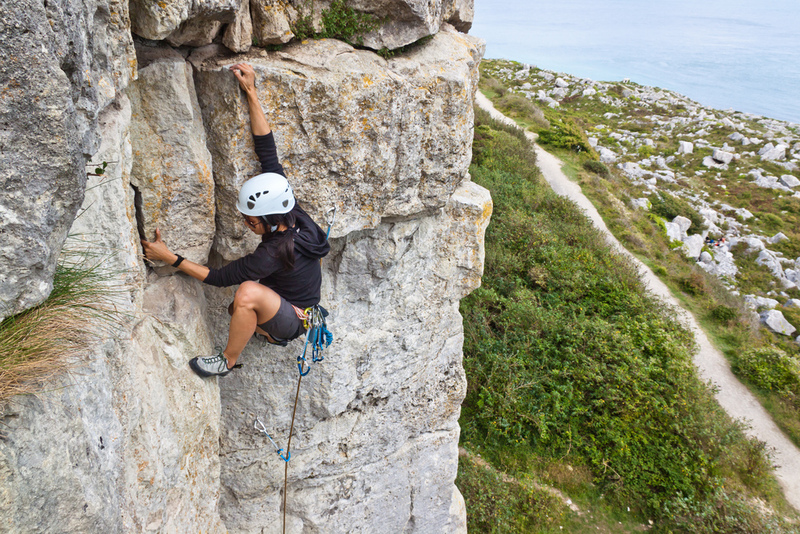 Portland has over 800 routes recorded along its coastal sea cliffs. NB Climbers should respect private property. They need to avoid conservation interest sites especially areas with nesting birds and rare plants that cling to cliff face. For their own safety climbers should also let someone know where they are going and when they intend to return. Church Ope Cove - Parking is available opposite Pennsylvania Castle and then you will have a short walk followed by a number of steps (around 100) to get to Church Ope Cove. Church Ope offers a number of options to fish from, either straight off the pretty beach or on the rocks either side of the cove. The left hand side of rocks in particular are considered one of the few places that you can catch Cuckoo Wrasse. Church Ope is mainly a summer venue and you can expect to catch Pollock, Bass, Wrasse, Garfish, Scad, Gad, Sole, Mackerel, Dogfish and Pout. After dark you can expect Dogfish, Pout, Smoothound and Bass. Freshwater Bay - Moving clockwise from Church Ope brings you to Freshwater Bay. This area makes the top four in the UK for Conger Eel hotspots and Congers of 50lb have been caught along this stretch of coast. Wrasse are also plentiful along this stretch and the area provides some protection from south-westerly winds, the most common wind direction here. Portland Bill is probably the best place to fish on Portland and offers all types of fishing whether it be float, legering or spinner. Another great spot for Conger, with all the old large quarry rocks under the water level for the fish to hide in it also a place for the experienced. Along the western edge are several ledges which accommodate the less experienced or younger fisherman. Expect to find all the usual suspects, Wrasse, Pollack, Bass, Mullet, Garfish, Mackerel and even the odd Red Scorpion Fish. No visit to the Bill would be complete without mentioning the Wrasse anglers mecca, Pulpit Rock. Whether you are fishing from on top of it (not for everyone!) or beside it the area here provides some of the best Wrasse fishing available anywhere. To back this up the record for the largest Ballan Wrasse ever caught is from here, weighing in at an impressive 9lb 10oz. Cod and Pollack can also be caught in good numbers from this spot. West Cliff leading to Chesil Cove - From Pulpit Rock to Chesil Cove is considered West Cliff and there are some worthy places to fish along this stretch. However, due to the height of the cliffs and the dangerous paths (and I use that word very loosely) the area is best avoided. If you wish to fish the area you are better of getting on a boat. However, all is not lost along the western edge of the island as you get to Chesil cove which is accessible. Pretty much all species mentioned above can be caught from here but worth mentioning are the catches of 20+lb Cod and the British record for Rockling. You can also book up in Weymouth to go on fishing trips with local fishermen. There are over 20 vessels offering this service and most will have equipment you can use if you do not have your own along with appropriate bait. 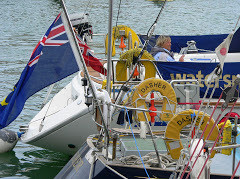 Many boats get booked early so plan ahead and discuss your individual requirements with the skipper to avoid disappointment. Horse riding - There are stables on the Island where you can arrange to take a scenic guided ride. Chesil Equestrian Centre offer coastal tracking for a great experience. Explore Portland the natural way, with assistance from the local horses. Take in scenery on a unique method of transport - booking is essential! With the enclosed harbour, sandy bottom, shallow water and many other enthusiasts on hand, Portland is one of the best places to either learn or just enjoy the sport of kite surfing. 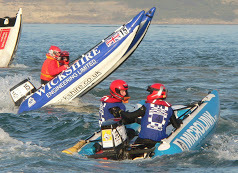 Predominately south-westerly winds blowing in over the channel, over Chesil beach and into the harbour can make the water as flat as you are ever likely to see in a coastal location. Time your sailing well with the tides and you will also have a large area to sail in that when you fall off you will be able to stand up in so it makes the area suitable for complete beginners. .
Portland harbour is owned and run by Portland Port Ltd and they have a requirement that anyone that wishes to kite surf in the harbour is a member of the Weymouth and Portland Kite Surfing Club. This should not prove to be a problem as it is run by local company, Paracedemy, and day membership is available. 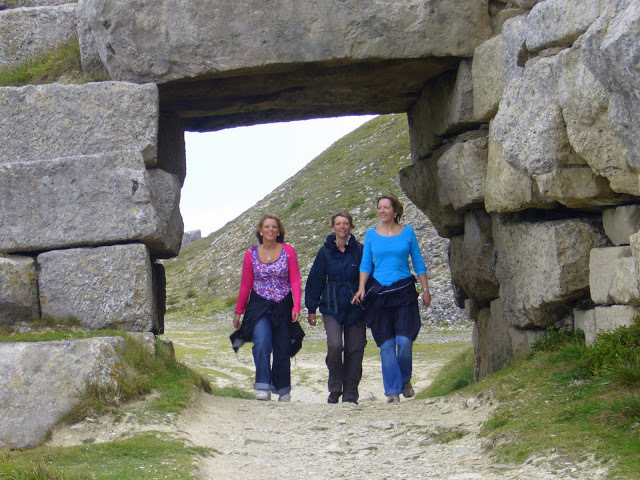 With over 3000 miles of public rights of way, Dorset has many spectacular walks for all ages and fitness levels. You are spoilt for choice on whether to pick a coastal walk, for Dorset lies at the start of the South West coast path or venture inland and explore Dorset's stunning scenery. 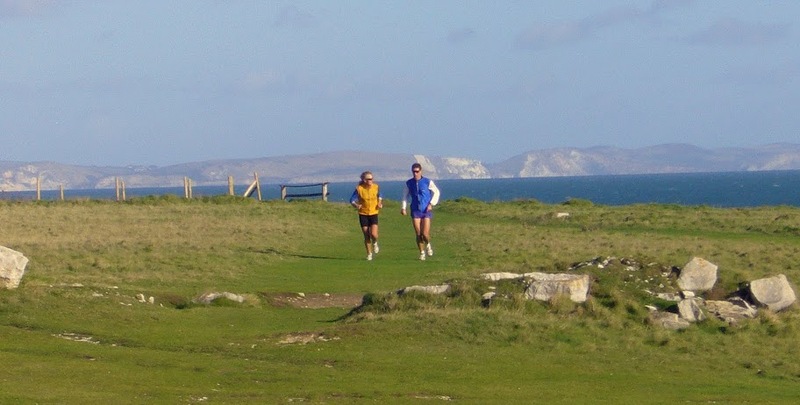 A circuit of the Island on the coast path is a very enjoyable walk with panoramic views of the sea and mainland. Take a look at the Portland map for various routes. 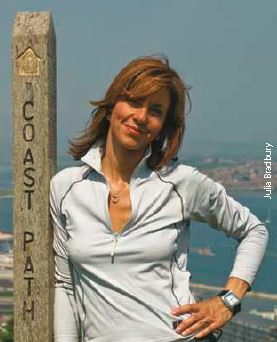 With all the recent television coverage from the Railway Walks programme with Julia Bradbury shown on both BBC4 and BBC2 we have put together some information outlining the route taken with a little bit of added local history. Start the walk in Weymouth, on the Rodwell Trail, which runs from Westham Halt to Ferrybridge. The walk follows the track bed of the Weymouth & Portland Railway which closed to freight in 1965 (the passenger service having finished many years earlier). There are many interesting points to stop at on this first stage of the walk, the World War II Gun Emplacement Viewing Point, Rodwell Station, Buxton Road Tunnel, Sandsfoot Halt, (slight detour to Sandsfoot Castle and refreshments, but well worth it), Wyke Regis Halt and the site of Whiteheads Torpedo Factory. 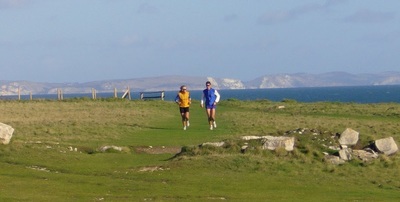 In addition, you will have spectacular views over Portland Harbour with Portland in the distance. At the end of the Rodwell Trail you will arrive at Ferrybridge, so follow the harbour edge with Chesil Beach on your right until you arrive at Victoria Square, site of the former Portland Railway Station. 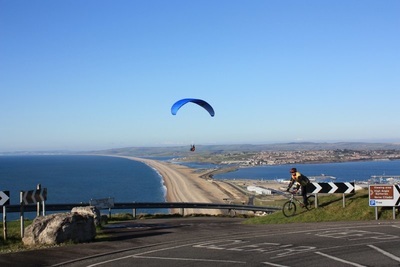 From here you will be in for an energetic climb along the Merchant Railway lines straight up the side of the rock face to the quarries on the top of the Island but at the top you will be rewarded with more spectacular views over Chesil and Portland Harbour. From here you will be following the coastal path all the way to Church Ope and although biased perhaps, cannot think of better views for those that want to try out a Railway Walk. For Railway enthusiasts, the area has a rich history with the Weymouth and Portland Railway being opened in 1865, the Admiralty Railway which was active from 1878 and predominantly worked by horse, the Easton and Church Ope railway and the stations along the Rodwell Trail which were served by both Southern Railways as well as Great Western Railways. These are available starting outside the Heights Hotel Visitor Information Centre. Each walk lasts around 90 minutes and covers roughly 2 miles and is packed full of information regarding the wildlife, history and geology of the area. These walks are guided by Bob Ford who also runs organised Nature & Wildlife Breaks on Portland based at the Heights Hotel. For those people that want to explore Portland on foot then you are spoilt for choice. 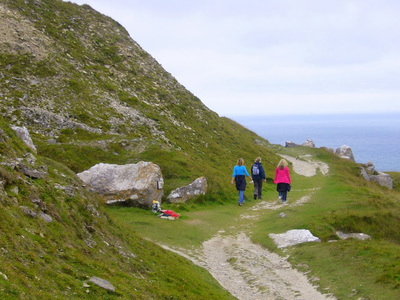 There are Quarry Trails & Legacy Trail leaflets with detailed walks on Portland and over to Weymouth, a variety of walks for all levels of walker. Click here for a link or pick up details in the visitor centre. Check out another great walking route which is well-known by the Long Distance Walkers Association. It's called the 'Hardy Way' and takes in Portland en-route. Follow this link for details. The Hardy Way explores the Wessex of author Thomas Hardy, visiting many Hardy locations beginning at his birthplace near Dorchester. It takes in the Piddle and Frome valleys, an outstanding stretch of coast between Lulworth Cove and the Encombe Valley, to Corfe Castle and Dorchester, ending in Stinsford churchyard where his heart lies buried. The Hardy Way leads through beautiful Dorset and Wiltshire countryside: woodland, high ridgeways, sleepy villages, a variety of farmland, river valleys and dramatic coastal scenery along Dorset’s famous Jurassic coast. 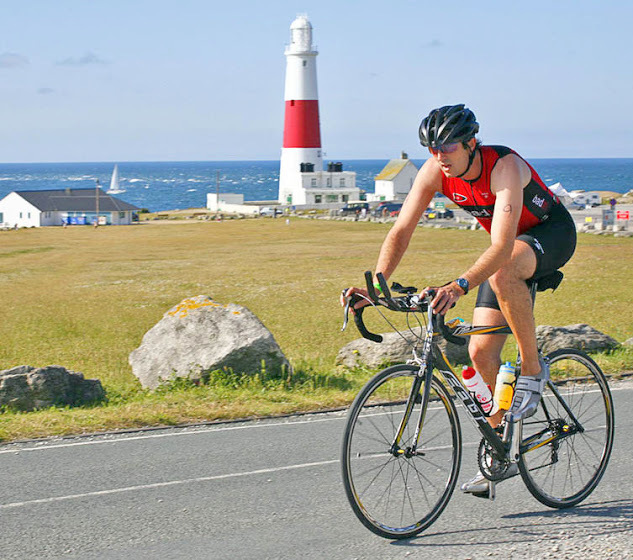 The route parallels the remarkable eighteen mile pebble Chesil Bank from near Bridport to the Isle of Portland, a gigantic limestone mass near Weymouth. 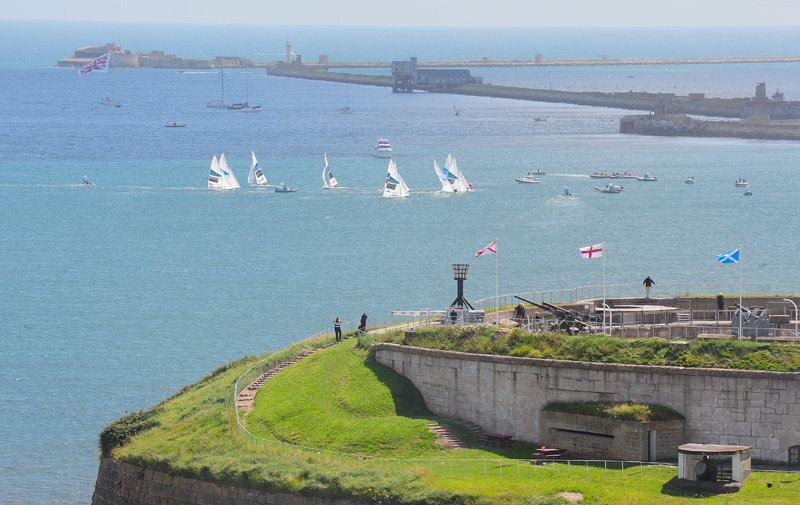 Portland harbour has been a Mecca for windsurfers since almost the beginning of the sport many years ago. This is because it has some almost unique geography helping it not just in terms of other sites in the UK but worldwide. With predominately south-westerly winds blowing over the equally famous Chesil beach the waters in the harbour itself, at least close to shore, is about as flat as salt water is ever going to get. Coupled with this, Chesil beach is shaped like the top half of a wing and this has the effect of smoothing out and slightly accelerating the air blowing over it giving you a very smooth ride if the wind is in the right direction. Although Chesil beach is stony, Portland harbour is sandy making wading out at low tide pretty comfortable. If you are a beginner the area is perfect as, if you get the tide times correct, you will be able to sail around and fall off in waste deep water for quite a way out. Also, the harbour is pretty much enclosed so you are always going to hit a shore or harbour wall unless you are really unlucky. Remember that if you are a beginner the south-westerly wind is offshore and will blow you out into the harbour if you are not careful so do keep in your depth at the start of your windsurfing career! For the more advanced windsurfer Portland harbour is an excellent place to practice manoeuvres. So if you are trying to nail the 360° backside clew first trick then at least the conditions are not against you! 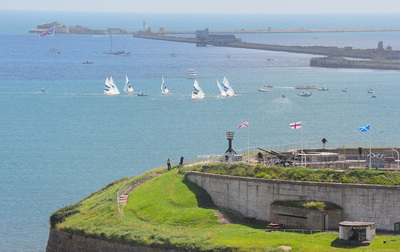 Of course, Portland harbour is famed for speed sailing owing to its unique geography. If you are an all out speed freak that is trying to get close to the 40 knot and above barrier then this is the place to be. Each year there is a speed week that normally attracts some big names of the windsurfing world and indeed we had Björn Dunkerbeck stay with us in the past, the record breaking 11 time overall world champion. 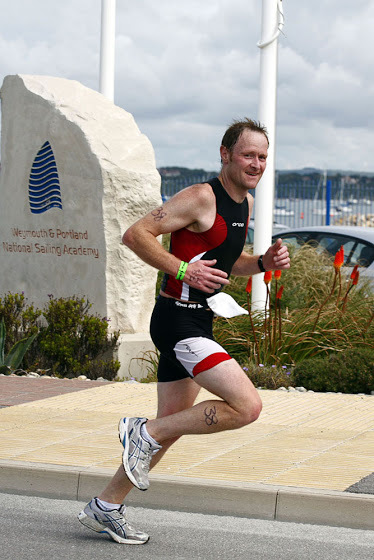 If flat water isn't your thing then you need to travel down to the end of Weymouth beach to Overcombe corner. This provides some good chop or even the odd clean wave if you are lucky and is a windsurfing only beach which does make life easy. Slightly less well known as a windsurfing area is the beach over at Ringstead that sits on a reef and can have some lovely days. As this is not a well known spot keep safety in mind and always sail with a friend and let someone know where you are going and when you will be back. Also, take a spare fin as that reef seems to like them as the tide lowers! 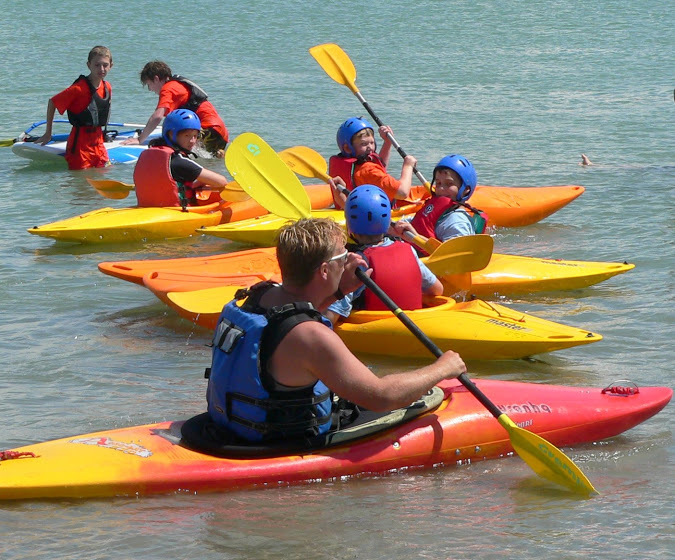 For more details about any of the activities mentioned on this website, pop-in to Portland's Visitor Information Centre. Open all day - every day. Situated at the Heights Hotel. There has never been a better time to get on your bike! With so many great places to explore, Portland is a fantastic place to visit with two wheels. From tours to hire, it's all available within easy reach. 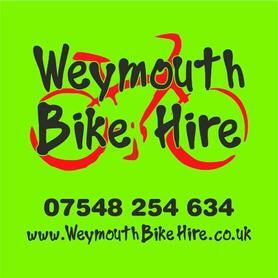 ​Weymouth Bike Hire - Mobile Bike Hire on Portland! Hire a bike and cycle around the local area. With so much to see, you'll be spoilt for choice! 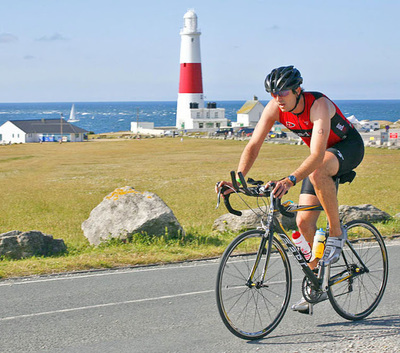 Hire your bike from Weymouth Bike Hire, and have it delivered anywhere on Portland. Pop-in to the Portland Visitor Information Centre, at the Heights Hotel for details. Remember to show your Portland Passport when hiring bikes, to show you're exploring Portland and enjoying the benefits. Call: 07548 254 634 to hire today! If hiring isn't your thing and you'd like to be shown around by a guide, no problem. Jurassic Electric Bikes, have come up with an ingenious idea to make cycling a whole lot more fun - electric bike tours. Scheduled half day tours start from £35 per person and itineraries include exploring the Isle of Portland’s fascinating past and present. Tours run throughout the year and depart from various convenient locations and the price includes bike, helmet and pannier hire. They can also organise tailor-made tours with a range of refreshment options. For more information, visit the www.jurassic-electric.co.uk or call Martin on 07796 135256.